Political reporter and commentator Reeves, as American as we come, discovers the Pakistani/Muslim/Third World differences: in one of many apt nutshells--"we couldn't even get each other's names straight." Reeves was in Pakistan with his family, he relates, because his wife was studying conditions in Afghan refugee camps; he was accredited as a reporter, but he mainly conveys impressions--of a three tier, three time-period ("city, town, and rural") modernizing society--by turning his American attitudes to advantage. "Nothing worked"--or, rather, "it didn't work the way an American thought it should." The difference was between an appointment and come-on-over, "between systematic and individual approaches to handling predictable situations or problems." What can be done expeditiously--an international phone call, say--is done by modern electronic technology and according to the rules of international commerce, "a kind of new imperialism." "Within its own borders, though. . . the nation was going to have to suffer the agony of its own modernization." The book works because Reeves is a practiced observer, and he doesn't breastbeat. On the critical division between the West and Muslim fundamentalism, "the communications gap is far less complicated than gaps in basic perceptions." A number of Pakistanis speak of the Crusades; says Reeves' teenage son, looking at a group of soldiers, "If I were a Russian soldier, I'd be afraid of those guys." (Adds Reeves, "Me, too.") 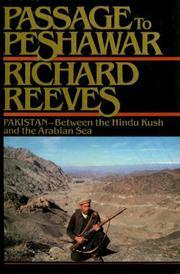 Reeves does note the "silliness," sometimes, of the Islamicization of Pakistan; but he finds Islam "rich and complex enough intellectually and idealistic enough not only to provide the material for Brotherhood of Man, Fatherhood of God speeches, but to create the environment for technological modernization and for modern political systems providing the rule of law. . . social justice and economic opportunity for most of the people, most of the time." What he'd like to see the US do--in place of ineffectual economic aid, futile military aid (supportive of the elite, of the military dictatorship)--is to underwrite literacy programs: at least in Russian client-states, he observes, people learn to read. And he does see Pakistan moving toward some kind of non-Marxist socialism. As an honest statement of confusion, it's as good as anything around (certainly preferable to V. S. Naipaul's caustic Among the Believers).